Dr. Johnson's Infant Language and Speech lab is located on the fourth floor of UTM's Communication, Culture and Technology Building, along with all of the other labs in the Human Communication Group. Her main line of research is focused on understanding how children acquire their native language(s). A sampling of topics recently under study in her lab include the development of spoken word recognition, how infants learn to cope with connected speech processes and segment words from speech, audio-visual speech perception, infant multilingualism, accent and dialect perception, the development of word-learning heuristics, experiential effects on voice recognition, the link between early perception and production, and the acquisition of language-specific prosody. For a more detailed and up-to-date description of Dr. Johnson's research, please see her lab page. Dr. Johnson received her BA from the University of Rochester, where she majored in Brain & Cognitive Sciences and completed a Take Five program in Developmental Biology & Evolution. She then earned her MA in Psychology and her PhD in Psychological & Brain Sciences at The Johns Hopkins University. During her final year of study at The Johns Hopkins University, she spent a semester visiting the Speech Group at MIT. After completing her Ph.D, Johnson accepted a post doc position at the Max Planck Institute for Psycholinguistics in Nijmegen, The Netherlands. Johnson is now an Associate Professor of Psychology at the University of Toronto, and the Director of the UTM Child Language and Speech Studies Lab (C.L.A.S.S. Lab). 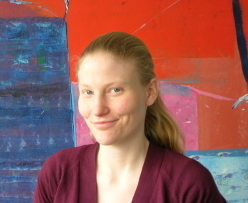 In 2012, Johnson was awarded a Canada Research Chair in Spoken Language Acquisition. Her primary graduate appointment is in Psychology, but she is also cross-appointed to the graduate Department of Linguistics.